Level-5, best known for its talking role-playing games and Professor Layton puzzle games, is behind the new Gundam series called Mobile Suit Gundam Age. Does that mean the giant mecha will speak? No. Level-5 boss Akihiro Hino addressed chatter that Gundam mechas will talk in Mobile Suit Gundam Age, calling it a "misunderstanding" that the mecha can speak. According Hino, the series will be kid friendly, but won't deviate from traditional Gundam conventions. So no talking giant mechas! 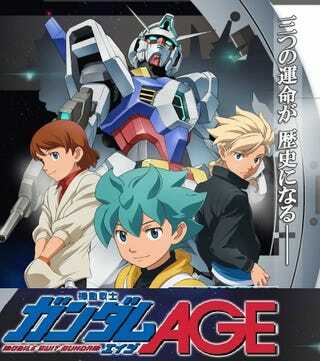 The Akihiro Hino penned Gundam Age anime debuts this fall as Level-5 is working on an Age title.